It's a $2.1 billion drug merger born of vanity. 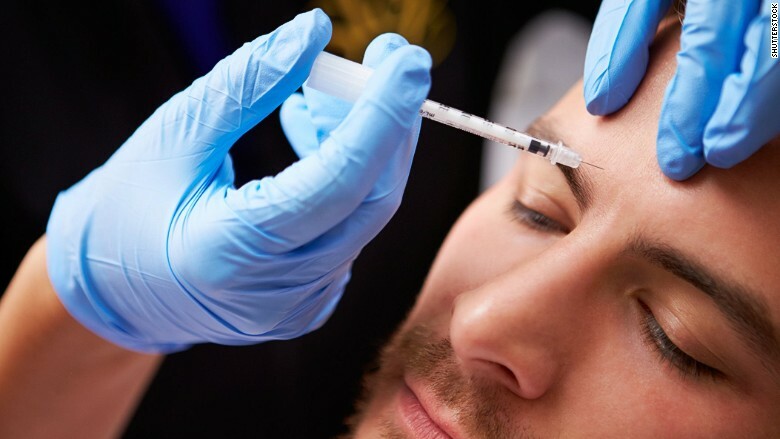 Allergan (AGN), which makes Botox, the drug used to treat wrinkles, is buying Kythera Biopharmaceuticals (KYTH), which won FDA approval in April for Kybella, an injectable drug that will be used to reduce double chins. Kythera is also working on developing a product to prevent male-pattern baldness. Allergan describes itself as a leader in "facial aesthetics." It said that double chins are a "common yet undertreated condition that can detract from an otherwise balanced and harmonious facial appearance." And the company said its customers, such as physicians and clinics, "are looking to offer their patients new options." Allergan has been active in drug mergers recently. It was acquired by Actavis in a $66 billion deal announced last November. That deal outbid a $53 billion offer from Valeant Pharmaceuticals (VRX). Actavis changed its name to Allergan upon closing the deal. Shares of Allergan were slightly higher in premarket trading on the news, while shares of Kythera soared 22%, which took it near the purchase price that Alergan agreed to pay.